Turn right at first roundabout (by the Amazon warehouse) onto the B4290 and you'll find us at the first turning on the left. You can see our Tower from the main road. 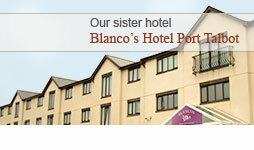 To get directions to The Towers Hotel & Spa please enter your postcode in the box below.